Richmond’s new residential project, Farmer Cutter & Swan, has already sold 80% of its apartments. With just a handful of the highly sought-after residences left, those looking to secure a lifestyle that perfectly balances inner-city convenience and suburban bliss will need to move fast. Farmer Cutter & Swan is the result of a Beams Projects and Icon Developments collaboration which has caused great excitement in the market. When the designs were revealed by MAArchitect, prospective buyers, including both owner-occupiers and investors, needed little encouragement. Brinn Tavener, Senior Development Manager at Icon Developments, commented, “Farmer Cutter & Swan’s location in Richmond has been extremely popular with owner-occupiers given its close proximity to Burnley train station, Swan Street trams and easy access to Monash freeway.” He cited Swan Street’s growing collection of cafes, restaurants and bars as another popular draw for the development. 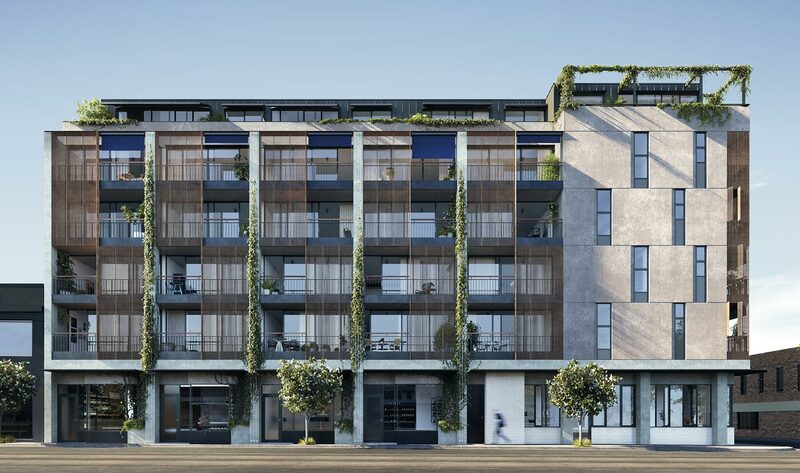 As part of the plan to provide affordable, high-quality living in the Richmond area, the development team strategically positioned the apartment pricing below the median Richmond house price. This way, they were able to ensure that buyers who were priced out of the local housing market, especially first-time buyers, were able to purchase a quality apartment instead. While off the plan developments frequently see a high percentage of their properties being bought up by overseas or local investors, the developers have commented that the recent trend in their sales has seen an increase in interest from owner-occupiers. The most popular apartment sizes have been the two- and three-bedroom residences, perfect for small families and professional couples looking for a new place to call home. “Having predominantly owner-occupiers in the building will help create the Farmer Cutter & Swan community,” commented Myers. “With more permanency amongst residents, stronger neighbourly bonds are formed, leading to a friendly atmosphere in and around the building." Inside the apartments, a subtly stylish scheme is an easy canvas for layering on your own personal style, whether you are decorating as an investor or turning a new apartment into your new home. Kitchens have been fitted with understated but stylish materials including stainless steel and natural stone. Soft-closing joinery, recessed task lighting and Miele and Fisher & Paykel appliances make for a seamless cooking experience. Bedrooms are designed with a relaxed retreat feel. Soft looped wool carpet is a delight for bare feet, while storage has been carefully planned with custom-designed timber wardrobes. Myers concluded that, “With a brand new, quality apartment, buyers have nothing else to do but enjoy their new lifestyle and apartment in this amazing location." Construction of the Farmer Cutter & Swan development is due to commence in the coming months. Read more about Farmer Cutter & Swan apartments or enquire about the development here.